A very meticulous and brave advocate. Kate specialises in human rights and public law, with an emphasis on inquests, judicial review and civil actions against public authorities. She has a developing Court of Protection practice. Kate was instructed as junior counsel for 22 families in the Hillsborough inquests (2014 to 2016). Kate has a keen interest in international law. She has experience of drafting applications to the European Court of Human Rights and regularly undertakes advisory and drafting work in public international law. Kate is recommended as a leading junior in Administrative and Public Law by Chambers and Partners 2018. Kate conducts all types of public law challenge and has a particular interest in cases involving international human rights law. She has substantial experience of bringing judicial review proceedings in the prison law context, including those involving Parole Board decision-making, unlawful detention, prisoner treatment and discrimination. She has also represented and advised claimants in judicial review claims connected with inquests, police matters including decisions of the IPCC, mental health, homelessness and education law. She also has experience of making applications to intervene, including in high-profile cases. R (Rawnsley) v Parole Board  EWHC 2689 (Admin): Successful challenge to Parole Board decision refusing release on licence. 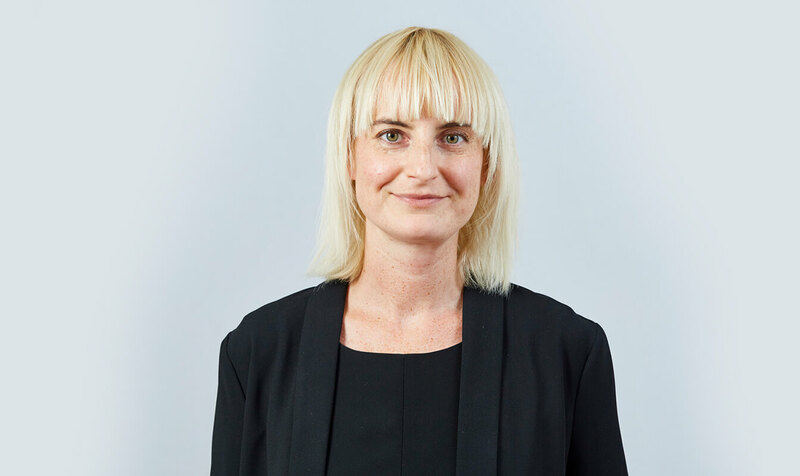 Kate has substantial experience in coronial law and frequently represents bereaved families at inquests, in particular those involving state culpability. She was instructed on behalf of 22 families in the Hillsborough inquests. Kate is particularly interested in the parameters of article 2 and is experienced in conducting arguments about the engagement of article 2 in non-standard cases such as those raising issues about the obligations of local authorities dealing with vulnerable children, probation authorities supervising offenders on licence and the obligations of mental health trusts concerning the risks poses by informal patients and those otherwise in their care. Kate’s experience of representing bereaved families in death in custody cases includes those focusing on ACCT procedures, record keeping and information sharing, and the adequacy of health provision, including mental health provision, for prisoners. She is regularly instructed in inquests touching upon the deaths of formal and informal mental health patients. Kate also deals with inquests considering systemic, tactical and operational policing, including those involving domestic violence, police negotiators and firearms officers. Kate’s inquest law practice is complemented by her experience in prison law and judicial review. Kate is frequently instructed in civil actions against the police, prisons, healthcare trusts and other public authorities. She is experienced in all types of civil action, including Human Right Act 1998, Equality Act 2010, common law claims in negligence, false imprisonment, assault, malicious prosecution, and misfeasance. HRA claims include those based on Article 2 and Article 3 (failure to discharge positive obligations to protect vulnerable individuals), Article 5 (police and other wrongful detention), and Article 8 (including wrongful disclosure of information). R v O’Connor  EWCA Crim 2842: Successful appeal against conviction and sentence. Kate’s developing Court of Protection experience includes acting on behalf of disabled adults in welfare cases, in particular those involving deprivation of liberty. Bury Metropolitan Borough Council v Hamilton and others  All ER (D) 85 Mar (EAT)  ICR 655 :  IRLR 358,  Eq LR 234: Junior counsel for the successful Unison claimants in local authority equal pay litigation. Kate has a particular interest in public international law and completed a Masters in International Human Rights Law from the University of Oxford in 2012. She has experience in drafting applications to the European Court of Human Rights and regularly undertakes advisory and drafting work in IHRL both on a consultancy and pro-bono basis. In this regard she has worked with Oxfam, Advocates for International Development and the Environmental Defender Law Center. Kate was a member of the Legal Response Network which assisted NGOs in the successful negotiations towards an Arms Trade Treaty and attended an international conference in the Hague in April 2013 as a representative of the Network. She has provided advice to the Network on international human rights law, with particular focus on women’s rights and gender-based violence, and is the co-author of an article on this subject, published in 2013 in the journal Gender and Development. November, 2013 – Gender-based violence and the Arms Trade Treaty: reflections from a campaigning and legal perspective – Gender and Development. Kate’s Privacy Notice may be viewed by clicking here.